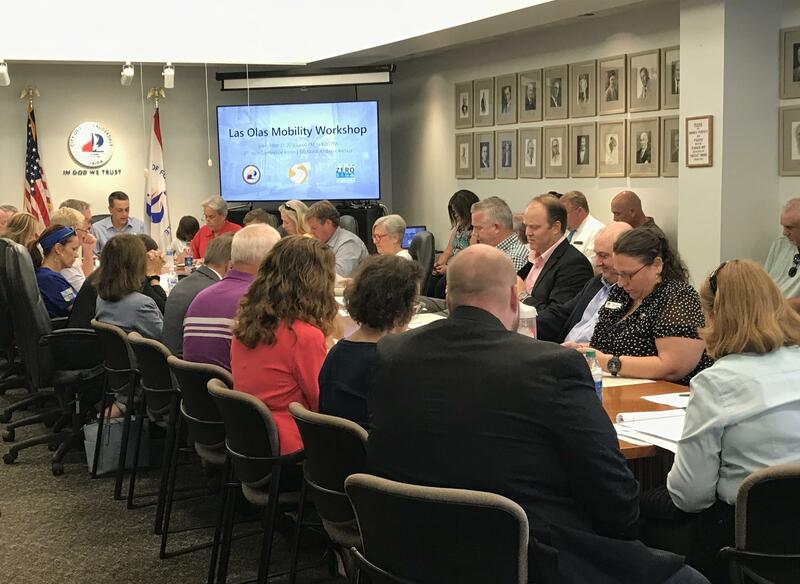 The Las Olas Mobility Working Group met Friday, on the top floor of Fort Lauderdale City Hall to discuss first steps and strategy to move forward with a large improvement project along the boulevard. 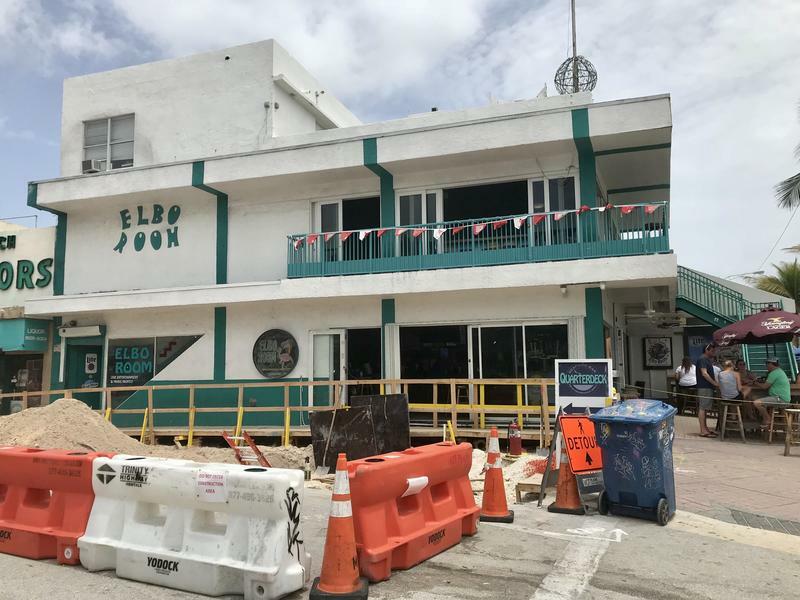 The new group was formed after an open city workshop earlier this summer to discuss improvement projects along the 2.4 miles of neighborhoods, shops and restaurants that is Las Olas Blvd., near Fort Lauderdale Beach. The area is one of the city’s most well-known social and tourist areas. But residents and business owners have been trying for more than five years to improve how pedestrians, cars and bicyclists navigate the popular spot. “How do we achieve the Las Olas of the future?” Vice Mayor Ben Sorensen challenged the room to answer. He spearheaded the working group with commissioner Steve Glassman. The brainstorming meeting included talk of traffic relief, new lighting, widening sidewalks, and landscaping - among others. Mary Fertig is one of the more than 25 group members that attended the meeting from neighborhoods associations and organizations along the boulevard. “One of the things that we wanted to make sure was that the people who live in the region were represented,” she said. Fertig came specifically to represent her neighborhood, Idlewyld. With the goal to identify a mission statement for the project in mind, Fertig’s biggest concerns include street safety measures. 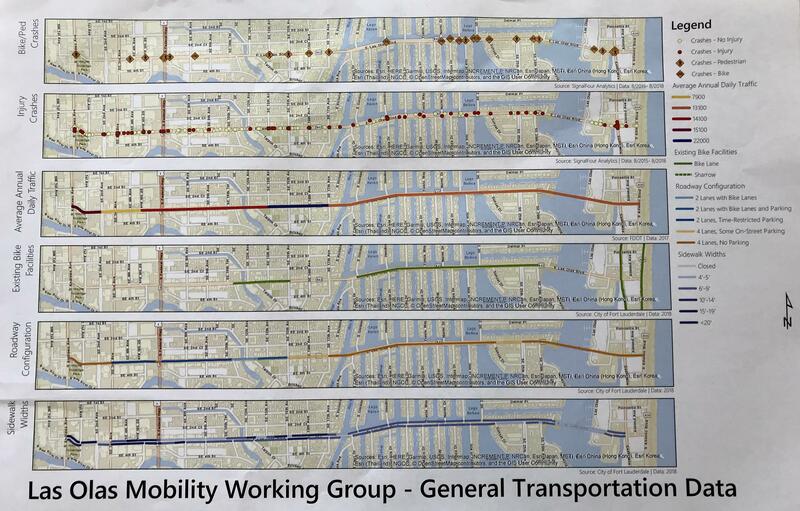 This map shows 2018 sidewalk widths, traffic patterns, the number of bike crashes, and more statistics from Las Olas Blvd. The working group will use these as a guideline when working with a city-hired consultant. 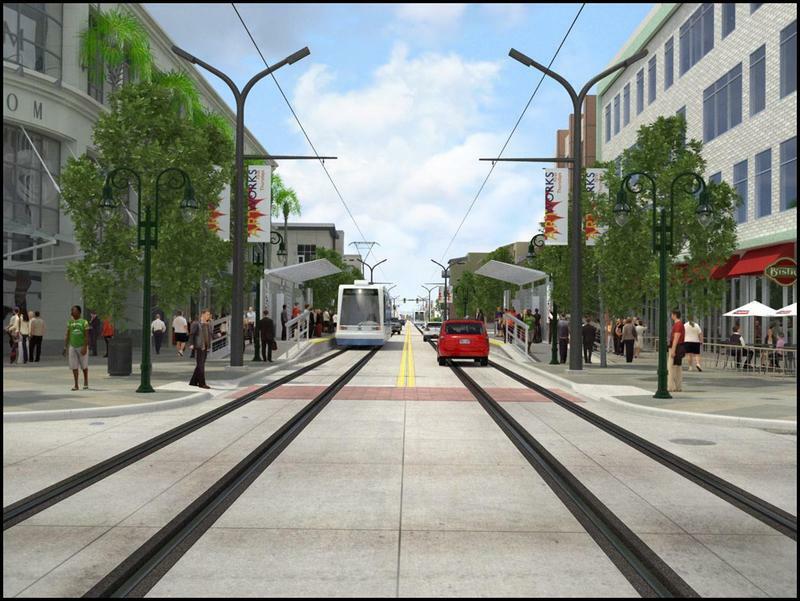 The group is working with the city’s transportation department over the next several months to create a list of suggestions to present to a project consultant that the city plans to eventually hire. So far the advisory group has identified five different sections of Las Olas Blvd: The financial district, Shops, The 15th Ave. Shops, Las Olas Isles, and Fort Lauderdale Beach. “One connected boulevard from Andrews [Ave.] to the beach - that’s our mission,” Glassman said. Participants expressed frustration about the estimated timeline for the project to commissioners, as well as city transportation staff. Any improvements would need to be done in segments, and the first leg of the process would take four to six months to get a consultant and bid out the design. Then, planning and designs would take another estimated 14 months. Next, the construction bidding process, and the actual construction process - which alone takes an estimated 18 months to complete, per section. Even if the city planned for funding immediately, the earliest funding could be guaranteed would be on a five-year schedule. City Commissioners recently approved a budget for 2019, which starts in October. The more than $785 million dollar plan does not include current funds for any Las Olas improvements. “It’s not specifically earmarked right now, but we’re committed,” Sorensen said. The advisory group is expected to meet again, at least once, before the end of the calendar year. Its next steps include collecting more data on traffic flow, and getting a city consultant hired. Drivers and beachgoers in South Florida are no strangers to road closures and months-long of construction projects. 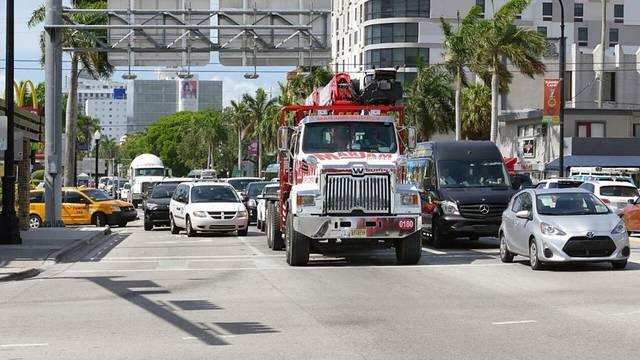 But Fort Lauderdale’s latest road closure could affect summer tourism on the city’s busy Las Olas Blvd. Starting on Monday July 9, the two blocks of Las Olas Blvd. that connect to Fort Lauderdale Beach will be closed for construction...for nearly four months. The Florida Roundup: Is There Hope For South Florida's Traffic Woes?